As one of Europe’s oldest cities, Lisbon is filled with many archaeological treasures. Portugal’s capital has experienced many artistic, architectural, and population changes over its nearly 3,000-year-old history. The result is a plethora of hidden gems that have been unearthed over the years. In the center of downtown Lisbon (on Rua da Conceição), visitors can walk beneath the street and visit ancient Roman tunnels. Discovered nearly 20 years after the 1755 Great Lisbon earthquake, the tunnels are believed to date back to the first century A.D. Though they aren’t long (a walk-through takes about 20 minutes), they are somber and possibly frightening to anyone who is afraid of the dark. Their intended purpose may be less scary; the Portuguese government believes they were used as storage and as underground infrastructure. If this exploration sounds appealing, we recommend contacting the Lisbon Tourism Office for tour dates and times, as the tunnels are not always open to the public. 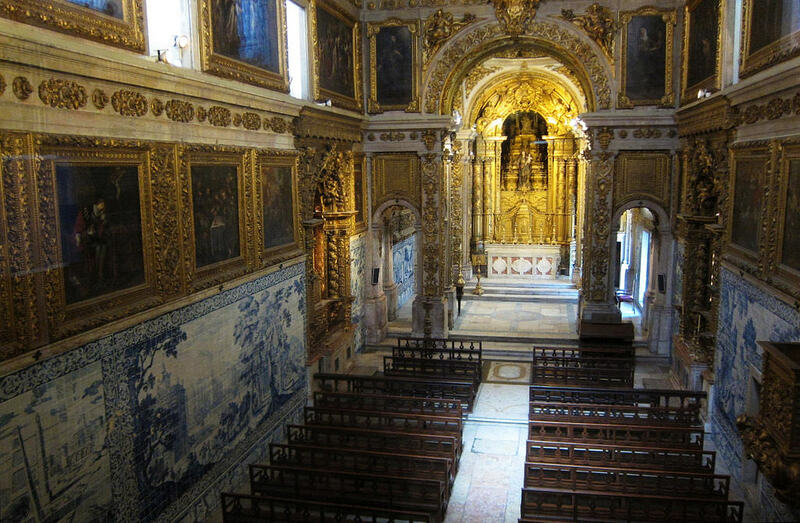 The Lisbon Cathedral in Alfama was built in the 12th century. It is the oldest church in the city and has towers, gilded features, and a rose window that attracts many visitors. Admission to the church is free but a €2.50 fee is required to walk through the cloisters, which are open from 10AM to 5PM. 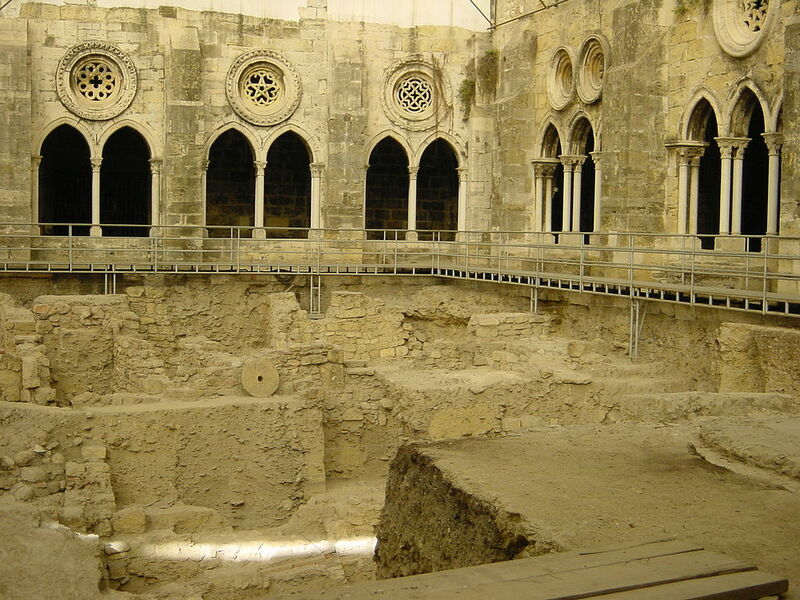 Roman, Arabic, and Medieval structures are found in these ancient walkways, which may have once belonged to a mosque that existed where the cathedral now stands. While strolling on Alfama’s winding roads, you may come across a red wall surrounding the Museum of the Roman Theatre and its amphitheatre next door. This edifice dates back to the first century B.C. and was discovered in the late 18th century. In addition to the amphitheatre, visitors can see columns and sculptures. 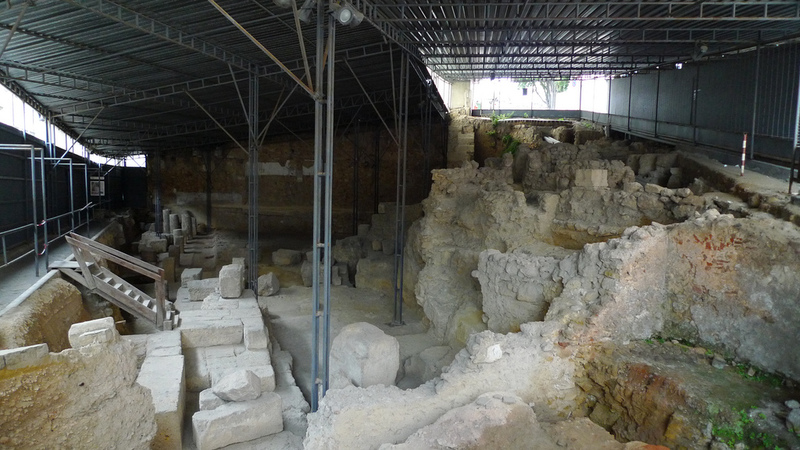 Archaeological research shows the Roman Theatre’s guests may have been able to see the Tagus River from their seats. Admission to the museum is free. One of the largest underground treasures in Lisbon can be found at Millennium Bank on Correeiros Street (Rua dos Correeiros) in Baixa. Baixa is a lively neighborhood in downtown Lisbon and is located a few blocks from well-known landmarks like Praça do Comércio and MUDE. Below the bank, guided tours are provided through the tunnels dating to the 1st century A.D. A museum tour above ground features antiques from the tunnels. In the National Azulejo Museum, a visitor can see both colorful ceramic tiles and a beautiful Baroque-style chapel in one visit. The National Azulejo Museum is built within a 16th-century convent, in a remote part of the city tourists often miss. It is the only museum in Portugal dedicated to azulejos, ceramic tiles which hold significant meaning in Portuguese culture. Both convent and chapel on the site are historical buildings that were renovated after the earthquake in 1755. 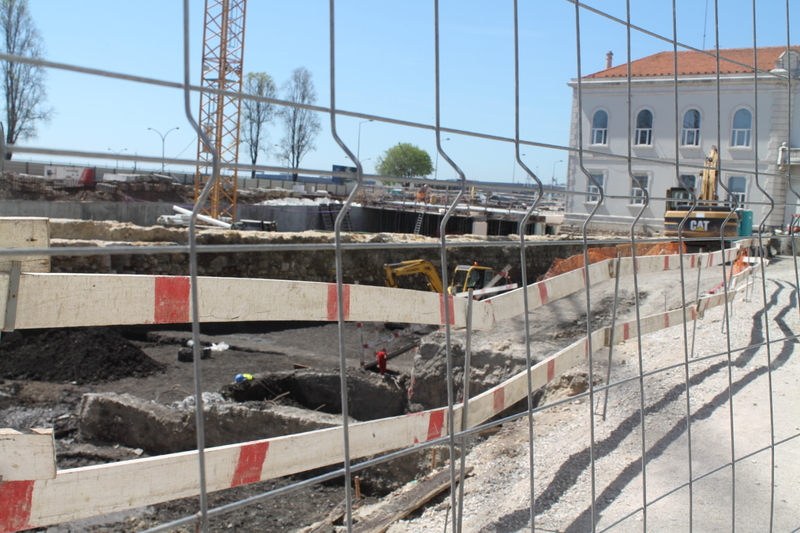 While walking parallel to the Tagus River in Alfama, heading away from the Santa Apolónia train station, visitors will notice a fenced area under construction called Campo das Cebolas. Some of the ruins discovered in this location—soon to be a small park and parking lot—will be moved to museums in other parts of the city. One of the most interesting artifacts unearthed from the site is a small centuries-old boat. Access to the site is not permitted but visitors can walk around the fence, perhaps while enjoying a gelado (ice cream) from a nearby shop.